Posted on May 23, 2014 at 10:34 am. The answer to that question is a resounding “yes”! 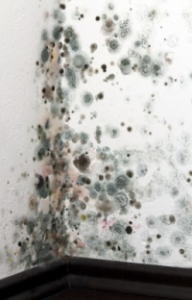 Although continuous exposure to mold growth is hazardous to everyone, the level of risk for people with weakened immune systems is definitely higher than for those who are healthier. By inhaling or simply touching mold or its spores, allergic reaction may be experienced, and for those who suffer with asthma, mold can increase the asthma attacks. According to the Centers for Disease Control and Prevention, those who have weakened immune systems are more likely to get mold infections, which could lead to hospitalization or even death. Who is at a higher risk of mold infection? People who have had organ transplants and are on medication that typically weakens the immune system. People who are on antibiotics. People born with weakened immune system issues. Because mold is a fungus, and reproduces by emitting its tiny spores into the air, another term for mold infection is fungal infection. As the spores are inhaled, they make their way into your lungs which is where most fungal infections begin. Black or white spots growing on walls, ceilings, under wall paper or on furniture. A dank musty smell – you can’t always see mold…it can be found lurking under counters, behind furniture, inside the walls, but you can often smell it in areas that it’s growing. Mold can grow just about anywhere there is a lot of moisture or humidity, a nice warm temperature and little sunlight. Some of the most common places it’s located are bathrooms, laundry rooms, kitchens and basements. Making sure you have good ventilation and air flow. Repair leaking plumbing right away. Don’t let condensation from your windows build up on your windowsills…dry them off right away. Keep furniture a few inches away from the walls to encourage good airflow. Always run the exhaust fans in your bathrooms, kitchen and laundry room. If there has been flooding, even minor flooding, be sure it is dried thoroughly immediately…mold can begin to grow in about 24-48 hrs. Symptoms of fungal or mold infection may include: headaches, difficulty breathing, coughing, fever, skin rashes and congestion. Unfortunately these are symptoms for many other conditions, so oftentimes they get ignored because “they’ll go away soon”. If you’re experiencing any of these symptoms, especially if you have a weakened immune system, you may want to consider the idea of mold exposure, especially if there have been signs of mold growth in the home. The first thing you should do is have trained professionals inspect your home for mold, and get their recommendations on how to remediate it. Removing the problem in your home may not be the only solution to get rid of our symptoms, consult with your doctor who may have anti-fungal medication.